Most fish are probably unaware that the water they are living in is a bounded environment. I write “most” because flying fish must have some notion of the surface and are able to break through it for short periods and small distances. Similarly, bottom-dwelling fish must have some notion of the boundary they burrow into, and all fish must have some notion of coastal or river boundaries. Nevertheless, we can conceive of fish completely surrounded and dominated and constrained by the watery environment they live in. They are completely powerless to change that environment. And so it is with humans and time. The difference is that we perceive no boundaries to our time environment. Like fish in a river, we perceive only one direction for the flow. Unlike fish, we perceive no local eddies or reversals of the flow of time. Unlike salmon we cannot conceive of moving against the current. We perceive only a smooth, steady, implacable uni-directional flow. We have no idea of the structure or the nature of time. The flow we perceive may just be a consequence of our language. We have no idea why the perceived flow should be steady. Could there be a condition where no flow occurs? Or where the flow is a different rate or in some other direction? Or even whether the flow itself is just illusion and does not exist at all. We are used to thinking of many futures but only one past. There is speculation of multiverses where every possible future exists. Why only one present? 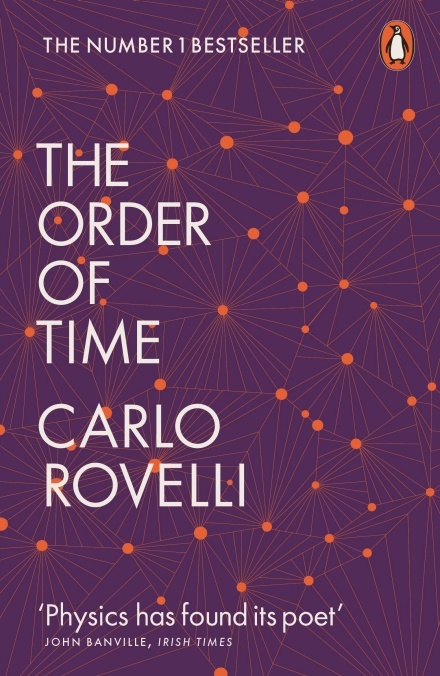 From what I have read by physicist Carlo Rovelli (“the new Stephen Hawking”), he takes the view that time is an emergent property and the flow of time we perceive is an illusion. Past, present and future are all emergent. His book “The Order of Time” has received wonderful reviews even from those who do not agree with his views. It is time to read his book and see if it stops me from staying awake at night trying to imagine many pasts and only one future. This entry was posted on January 24, 2019 at 10:02 am and is filed under Philosophy. You can follow any responses to this entry through the RSS 2.0 feed. Both comments and pings are currently closed.